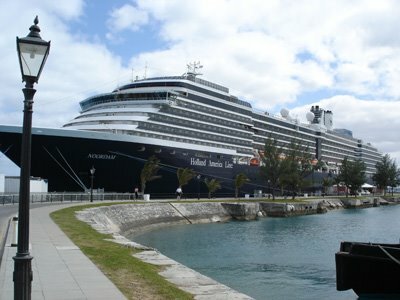 After a rocky day at sea, we arrived in Bermuda! Thank goodness for the ear patch. It kept me from getting too sick. The weather was cold so we didn't do the typical cruise activity and spend time on the deck at the pool. There was plenty of other things to do, however. Here is a nice photo of our ship. Yes, it's HUGE! Our cabin was somewhere near the back on the other side of the boat. It was a very nice cabin with a verandah. For those of you who don't know, we went on this cruise courtesy of Stampin' Up! Well, we did have to pay for it, but we got a killer deal. Can't beat that! 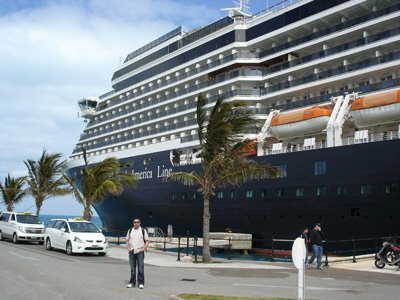 Here is Tom standing in front of the ship, to give you a sense of scale. It is like a city on water, and there were more people on this ship than in the town I grew up in! 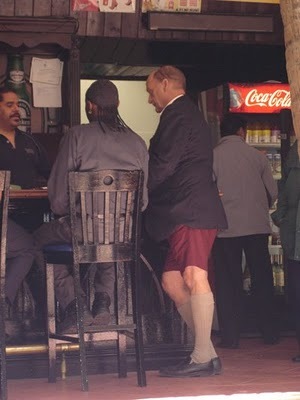 Just to prove people in Bermuda really do where Bermuda shorts! This is the authentic look. 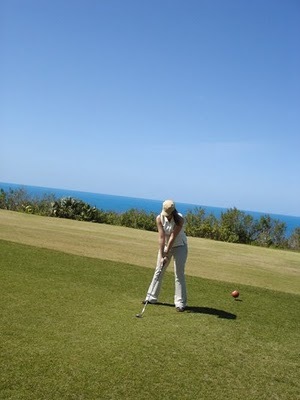 Tom was determined to take me golfing while we were there. We lost a lot of balls. The course was beautiful though! 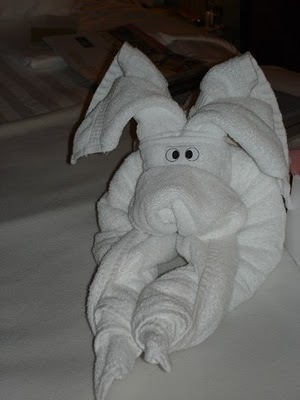 And, of course, there were little towel animals waiting to great us every night when we returned to our stateroom. As advertised, the water is very turquoise and beautiful! This is me at Horseshoe Bay. And the sand really is pink! That is because of little red microorganisms that die and wash up on the beach. Nice thought, eh? 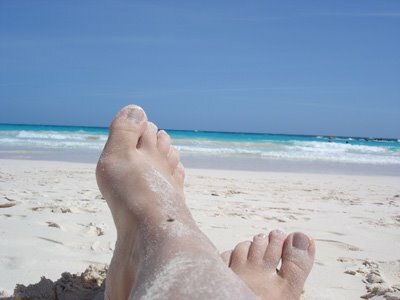 This is my feet at Horseshoe bay. We didn't spend time in the water for one big reason (shown below). Oh yeah, and the water was plenty cold. Turns out Bermuda is pretty far north and isn't really warm in April. 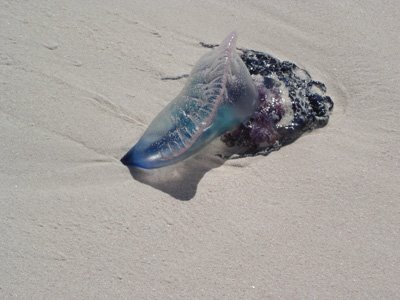 These are Man of Wars (like Jellyfish but worse) and they were washed up on shore all over. You don't want to get bitten by one. All in all, it was a great trip. 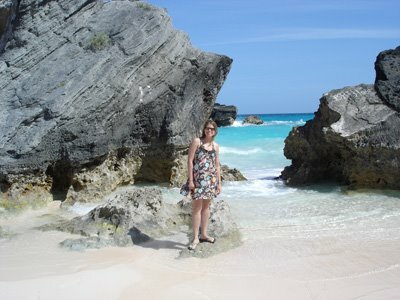 Although it was beautiful, I wouldn't go out of my way to go to Bermuda again. I'm sure it actually gets warm there for some people, but it is crowded and expensive. I'd like to see other places in the world!